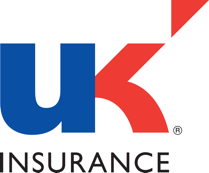 We are U K Insurance Limited ("we", "us" or "our") and you will know us by our brand name NIG. Where we have collected information directly from you, rather than your broker, it will usually be obvious what this is, as you will have given it to us. This might not be the case, if you have visited our website, where we have used cookies to collect information from your computer or portable electronic devices. Please see our cookies policy for more information. Your broker. We will use the information collected by your broker and provided to us. Credit reference agencies help us decide whether to offer you credit if you choose to pay us your premium by instalments. We share this information when you first take a policy with us and at each renewal. We may exchange your personal information with credit reference agencies to reflect your credit application (as payment by instalments means that there will be a credit agreement between us). We will let you know before we do this. This will be visible to other credit providers. Failure by you or anyone who pays for your policy to keep up the monthly payments due under your credit agreement will be reflected in your credit score, not theirs. The identities of the credit reference agencies and the ways in which they use and share personal information are explained in more detail at www.experian.co.uk/crain/. Alternatively, you can call us and we will send you a copy. If we rely on your consent to collect and process your personal information, you can ask us to stop using your personal information at any time by withdrawing that consent and we will stop using your personal information for those purposes. We may rely on your consent to use computers to make decisions about you to improve our services or develop our products (see section 9). At any time, you can tell us to stop using your personal information to allow computers to make decisions about you or in order to improve our services or develop our products (see section 9). To find out how to do this, see section 10. We will collect information about you and put this into our computer systems. The computer systems will make certain automated decisions about you which will be based on comparing you with other people. This will have an impact in terms of the level of premium or product that we offer to you. We may also use automated decision making to conduct an identity verification check. For example, if you are under 25 years of age, the computer system may determine that you are more likely to have a car accident. This is because the computer system has been told that more people aged under 25 have car accidents.